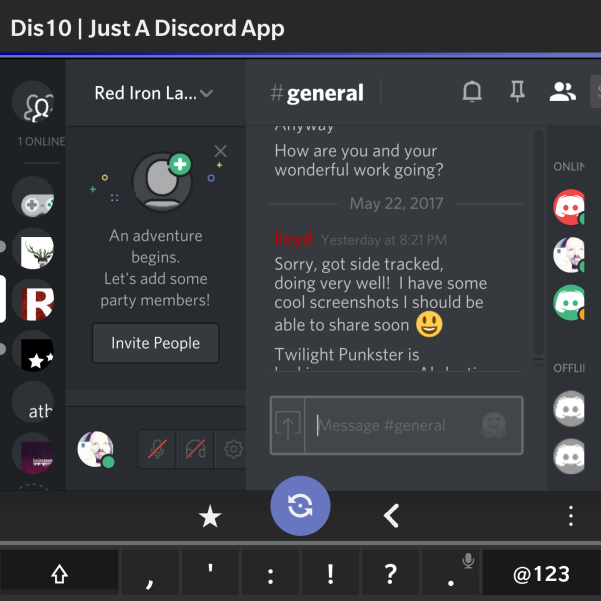 Seeking a Discord 10 client for BB10? We got you covered. If you are like me, and holding onto your BB10 device for dear life – and especially using a passport, you may also find some things just can’t work. Mapping FTP Drives and do you really need an FTP client? Probably not. Hi Lloyd! If you’re looking to make a native port of discord, I recommend looking into porting libpurple to bbnative and building a cascades interface around it. There’s a libpurple plugin being developed that connects to discord. It’s functionality is limited at the moment but it does work. Glad I could help! :3 The only features missing from the plugin now are the voice chat, attachment uploading, and access to chat history.